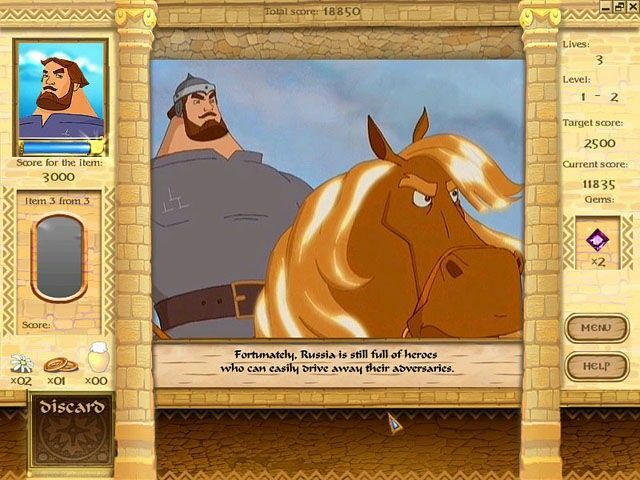 Will you help Elias the Mighty capture the worst criminal in his country and save his beloved horse? Based on the legendary Russian folk hero, Elias the Mighty is a thrilling arcade puzzle game based on shape recognition. Will you help Elias the Mighty capture the worst criminal in his country and save his beloved horse? Based on the legendary Russian folk hero, Elias the Mighty is a thrilling arcade puzzle game based on shape recognition. During gameplay, objects scroll across the bottom of the screen. 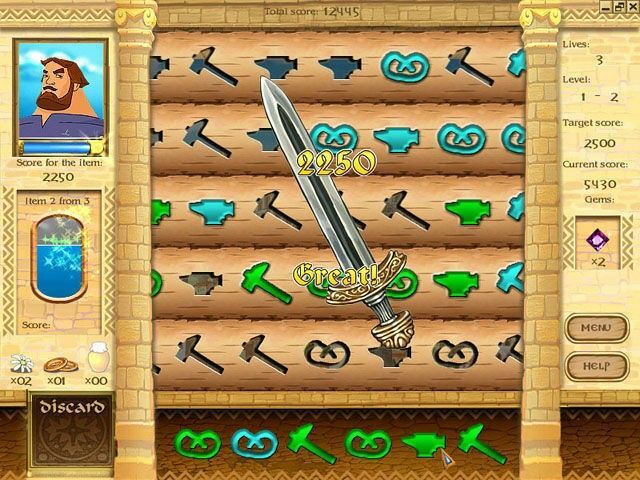 You must grab the items with your mouse and place them in the corresponding holes above. Placing objects of the same color next to each other generates mega-points! You have to work fast while planning ahead in order to reach your target score. 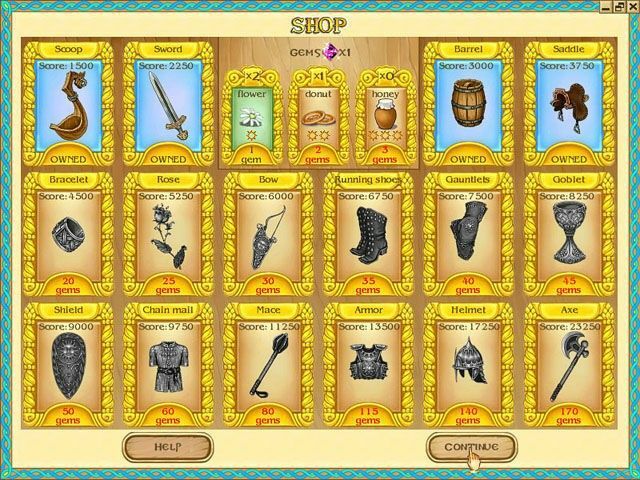 In addition, you can collect gems and then spend your riches on items that can help you win. Quite simply, Elias the Mighty is one of our most satisfying games to beat. Add in colorful graphics and a storyline steeped in tradition, and you have a game that's the next best thing to fighting alongside Elias himself!